The Galway Music Residency (GMR) is delighted to present this year’s Apprentice Ensembles in Music For Galway Lunchtime Series. This concert, which is the final event in MfG’s current Lunchtime Concert Series, will take place on Wednesday 24 April at 1pm in the Emily Anderson Concert Hall at NUI Galway. GMR’s Apprentice Programme, now in its 13th year, offers frequent mentoring sessions with ConTempo Quartet and performing opportunities to emerging, talented performing groups. In addition, GMR and MfG partner to deliver additional workshops to the Apprentice Ensembles with visiting national and international artists as part of Music for Galway’s International Concert Season. This year, the ConTempo Quartet has been working with four exceptionally gifted groups based both locally and nationally. 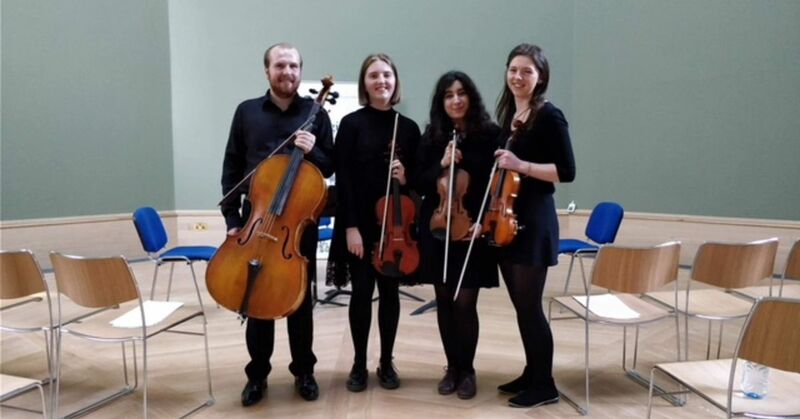 The Incantato String Quartet hail from DIT’s Conservatory of Music Drama and was formed under the mentorship of Keith Pascoe. Clarinet and Piano Duo, Dina Ryan and Aoife Moran, also study at DIT where they are currently completing the final year of their degree programme. The Euterpe Wind Quintet formed at the Royal Irish Academy of Music, where its members study across the Bachelor and Master programmes. 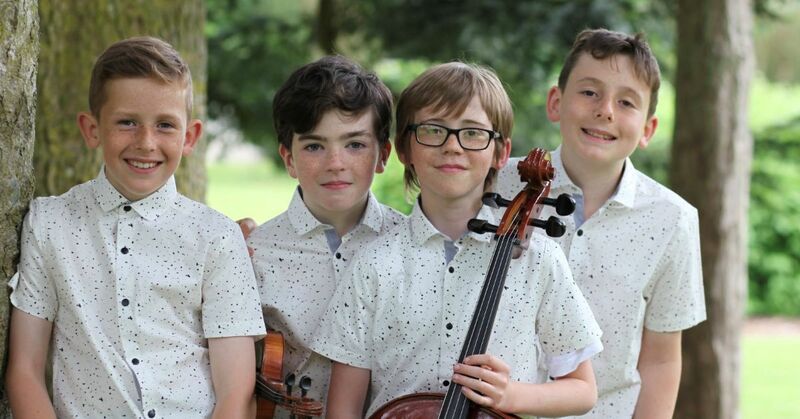 Finally, the Voldemort String Quartet, originally formed in Coole Music School, is GMR’s first ever junior ensemble. Aged between 10 and 12 years, the four members of this quartet possess talent and determination well beyond their years. On Wednesday 24th April, these four groups will showcase their musical prowess and the results of their work with ConTempo over the course of the academic year.